I’m Tarsem Singh an IT director based in the Midlands, passionate about creating and developing Sikh resources. A. I am an IT Director with a background in Computing Science and have been leading Software Development teams for over 20 years. A. I have two sons; one is still at school aged 15, the other has just finished his Degree in Law. Q. You have worked on and developed a number of Sikhi desktop and mobile apps, regarding Sikh resources where do you see the future? A. Sikh technical resources are essential for our future and the make learning more exciting, easy and accessible. There is still a lot to do to get the Sikh faith at the fingertips of the general public worldwide. Q. You were pivotal in the creation of SikhitotheMax, how did it all come about? Could you have envisaged it being used worldwide today? A. This was just part of my skills at the time. Whatever I had learned I tried to apply it to Sikhi and created a very useful database to do the searching. This moved further when experimenting with the first letters of words which turned out to be a bit of a revelation. 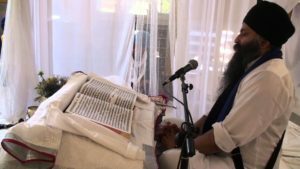 The way Gurbani is written, using first letters and not worrying about the complex spelling of words allowed for “live searching” of Shabads while Keertani were performing. The addition of a screen changed the way the Sangat engaged in Rehnsbhai Keertans and regular Divaans. The application was all Beta and unfinished but it spread quite quickly. Technology usage at the time of no mobiles was rare in Gurdwara Sahibs. So Guru Jee’s blessing really. Q. You recently attended a mental health first aid course, what did you learn? And why do you feel its important? A. Mental Health is affecting more and more people worldwide and is reaching epidemic proportions. It is highly likely that someone close to us will have mental health issues at some point in their life. It is very important that we all have some understanding of it as interacting with someone who has mental health issues is a very delicate area. Even recognising it is important so I think as many people as possible need to be first aid trained. There are more suicides of Sikhs in the UK now than ever before, so we need to act fast to become helpers. 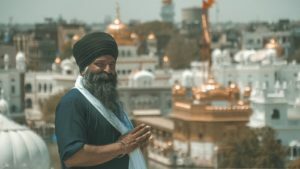 Q. June is an important month for Sikhs as we remember the attack on Darbar Sahib (Golden Temple) in 1984, after 34 years what would be your message to all Sikhs worldwide? A. Recognition of Sikhi as an important part of this planet is still a huge challenge. India is where the faith started and had it not been for Sikhi; the land would now be an Islamic country. Events from 1978 to 1984 and beyond were just a rude awakening for us Sikhs. I hope that everyone regardless of their career puts something back into the Panth selflessly so that it can grow very strong. 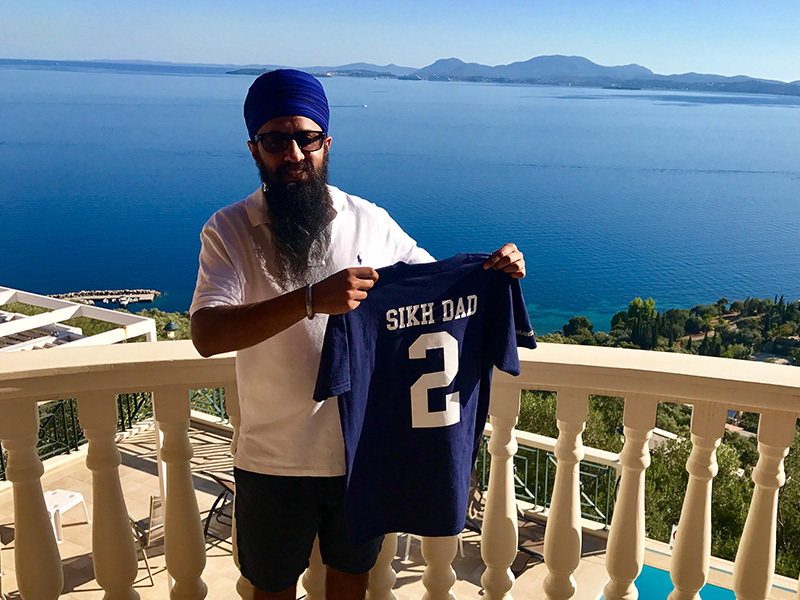 These down points are part of the course and journey for anything coming into fruition- it is a foregone conclusion that Sikhi will be a very positive part of this planet – it is just a matter of time. Q. 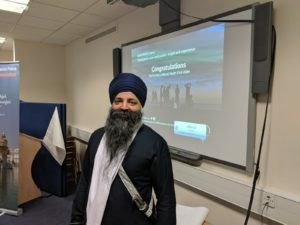 You have delivered talks and workshops all around the world on Sikhi, what are the common difficulties people are facing in the progression of their Sikhi? A. The key thing is sticking to the path and making continued progress. When taking Amrit, we are all on a high. It is a new chapter of our lives, and we are energetic. But slowly that wears off and then reality kicks in. It is hugely important that we have very strong Sikh units all over the world that can support their local communities. The Khalsa is a distributed army that keeps training to improve. Finding Sangat that drives your forward, keeps you in Chardhi Kala and remains in Vigaas – spiritual happiness is very important. A. There is no bigger inspiration than Guru Sahib. That is what unites us all. But I have tried to study Bhai Gurdas Jee often – it is clear that Bhai Gurdas Jee and Baba Buddah Jee were the most inspirational Sikhs from our history if you want to learn about Sikhi at the root level. The writings of Bhai Gurdas Jee are totally essential to understanding Gurmat. They are second only to Gurbani. 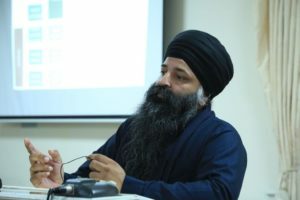 In the modern day, Bhai Sahib Bhai Randhir Singh has been by far the most inspirational as his grasp on Gurmat and clarity of Gursikhi requirements are really inspirational. A. The best piece of advice is to be the same Gursikh when you are on your own that you portray to the outside world. A. To be quiet, hardworking and not complain even if others do not treat you right. A. Before you become a Dad you should always do an Ardas to Guru Jee first. This should be that the soul Guru Jee sends is one of a Gurmukh who you will parent and look after but ultimately will be a sevak of the Khalsa. A. My children have taught me that if you give a child anything that they want, it is a form of child abuse as they will never learn and will never appreciate. If Guru Jee gives me everything that my mind ever desired, my Guru would be irresponsible. Satguru is never irresponsible. A. You can only do Ardas. Sometimes Karam are very strong and Sikhi does not always come to children in the way we expect it to. Always keep your children in good Sangat – this is done by keeping good Sangat yourself. A. There is nothing that can be created equal to Gurbani. If you use it and shower your children with some of the blessings it gives you it is magical. A. Yes – one piece of advice, do not pick your children up above your head. Mine threw up in my beard once. Not very nice. A. Most rewarding is that you have children, some couples can never have them so you should appreciate them for whatever they are. A. Fatherhood will remain a challenge to the end. The hardest thing is the inspire your children to be the best that they can be and not be a burden on this earth. A. You have to eat mirch (chilly) sometimes but ultimately it is laddoo (sweet) eating and a beautiful thing that Vaheguru Jee has made.